Home>News>News>Mirova wins the “2018 ESG Best Practices Honours"
Held in Paris on June 27, the widely-renowned ceremony gathered more than 400 market players to reveal its highly-prized symbols of recognition across the private equity, debt and infrastructure world. The primary objective of this event is to share best Environment, Social and Governance (ESG) practices and to distinguish management companies that have shown an active and positive approach in the field of Responsible Investment, among more than 200 management companies worldwide, monitored and analyzed by SWEN Capital Partners. On this occasion, Mirova was awarded with the “2018 ESG Best Practices Honours” in the “Greenfield Infrastructure” category. 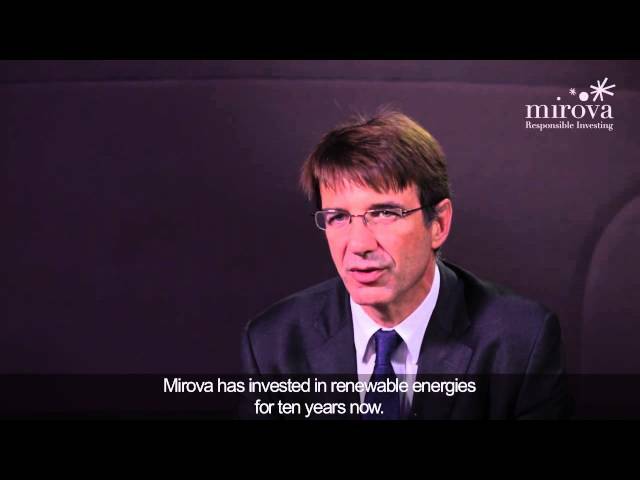 This award casts light on a proven investment strategy that has consistently implemented and fine-tuned by Mirova’s Renewable Energy Team across several generations of energy transition funds over the last 15 years by contributing to the construction of new renewable energy capacity using mature technologies, Mirova is consistent with its commitment to channel financings towards essential green and sustainable infrastructure projects most likely to address the challenges and opportunities of sustainable development – be they economic, social or environmental. So far, 170+ renewable energy projects representing €2.7 billion of capex and 1.8GW installed capacity across Europe have been financed through our investments, in line with Mirova Sustainability Infrastructure Policy. ‘At Mirova, we are convinced that attention to ESG matters is not only good for people and the planet; it’s also good for business performance. As a responsible investor, this philosophy is central to our activities, and fully integrated into our policies, processes and outcomes; especially for real asset investment management. We are glad to receive this award because the jury not only commended our ESG conviction-based practices, but also highlighted the transparency and quality of information we provide when reporting on the sustainability impacts of our entire portfolio of assets; including carbon footprint assessment and contribution toward achieving the Sustainable Development Goals. Many thanks and congratulations to all Mirova professionals,’ commented Philippe Zaouati, CEO at Mirova. Swen Capital Partners conducted its annual ESG survey where 200+ management companies participated and form which 30 were shortlisted using a methodology which analyzes and measures how extra financial criteria are integrated and implemented the Fund Manager’s investment process as well as at the underlying company/project level. The winners were chosen by an independent jury of 12 highly qualified individuals, representing institutional investors and international organizations such as OECD, UNPRI, the French Reserve Retirement Fund (FRR), insurance companies (MAIF and MACIF), etc.